WASHINGTON: As the American media warn that the Kashmir dispute could lead to a nuclear conflict in South Asia, a senior US general says terrorists continue to stoke tensions between India and Pakistan. Pakistan too in a meeting with Senator Mitt Romney told the senior lawmaker, who now heads the Senate’s Subcommittee on South Asia, that peace in the region would remain elusive if the Kashmir dispute was not resolved, but General Joseph Votel, who leads the US Central Command (CENTCOM), underscored the need to fight militancy for restoring peace in the region. “Militants operating out of Pakistan and Afghanistan continue to threaten Afghan stability as well as stoke tensions between Pakistan and India,” the general told the US House Committee on Armed Services on Thursday afternoon. A New York Times (NYT) editorial on Friday, however, alerted the international community that the ongoing conflict between South Asia’s two nuclear-armed neighbours could have dangerous consequences. “The two countries have crossed into dangerous territory, with India attacking Pakistan and engaging in aerial duels. The next confrontation, or the one after that, could be far more unthinkable,” the NYT wrote. Going a step ahead, the Wall Street Journal (WSJ) warned that India and Pakistan were “flirting with nuclear disaster”. An article in the Atlantic magazine suggested that both countries were hiding facts from their people while working quietly to prevent a war. As the international community expedites efforts to reduce India-Pakistan tensions, Islamabad’s envoy in Washington Asad Majeed Khan has reached out to US lawmakers to explain his country’s positions. 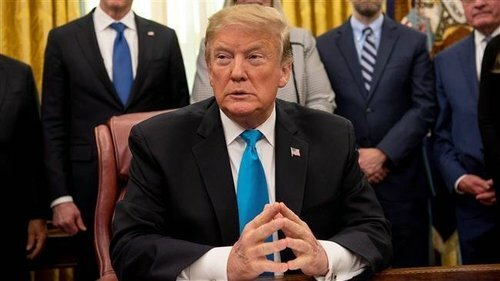 “Lasting peace and stability in South Asia would remain elusive as long as India continues to deny the people of Occupied Kashmir their legitimate right to self-determination,” he told Senator Romney. 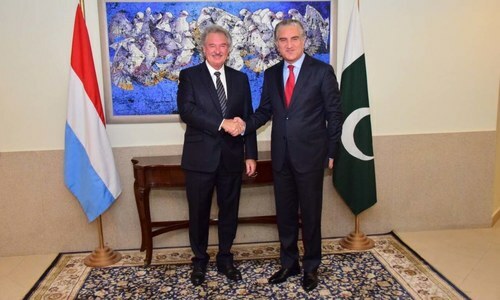 “Pakistan desires to resolve the core regional dispute through dialogue,” he said. 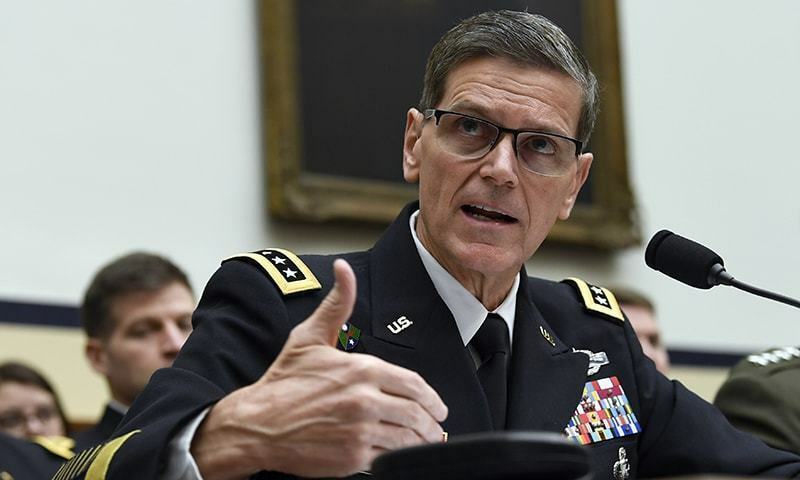 At the congressional hearing, Gen Votel who, as CENTCOM commander, supervises Washington’s military strategy for the Pak-Afghan region, said the US security assistance to Pakistan remained suspended, but some military cooperation activities continued, demonstrating “the importance of military cooperation, despite challenges in the bilateral relationship”. He said the US also wanted to ensure “Pakistan’s equities are acknowledged and addressed in any future agreement” in Afghanistan. 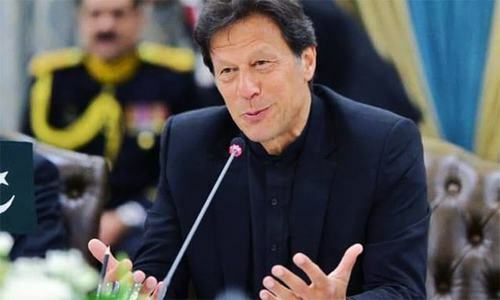 “If Pakistan plays a positive role in achieving a settlement to the conflict in Afghanistan, the US will have opportunity and motive to help Pakistan fulfil that role, as peace in the region is the most important mutual priority for the US and Pakistan,” he said. Don’t expect US or any other western country to be sympathetic to the Kashmiris. India is their “buddy” now, who will help them “contain”China. Where was world when India attack pak! Pak has proven their power with their response! Pak offered peace gesture, now world needs to pressure India! Nothing will happen Narendra along with RSS terrorist organization knows their limits. America sell weapons to both IndoPak to make money what a irony of my people. Love to India my brethren. The threat and danger is from India. Pakistan’s behaviour has been that of a responsible nuclear armed state. Offering to resolve (all, and) the main issue is Kashmir through dialogue. India’s behavior has been careless; being judge, jury, and executioner again a sovereign state and without evidence within 30 min deciding Pakistan is responsible for a act underaken a people against the terror and percution by the Indian army. India is becoming an unstable Hindu fundamentalist state with cannot be trusted with nuclear weapons. The world community needs to pool its efforts to disarm India. All those counties supplying weapons to India are equal partners in the aggression and danger to world peace that Indian has shown in the past two weeks. Even though the West knows well that Kashmir is the core issue in South Asia, still it turns a blind eye because of China. Kashmir issue has to be resolved according to U.N. Resolutions. People of Kashmir has a right to decide their future. Their desioure for freedom should not be equateded with terrorism. The key to peace in South Asia. The world must push for this issue to be resolved. This refers to Indian sponsored terrorism in Pakistan via Afghanistan. Wars must be prevented but cannot be avoided if it is inevitable. Pakistan despite curbing the militancy issue still will feel threatened due to hostile India and Afghanistan governments. In this scenario Pakistan must be ready for war economically, militarily and conceptually. It is India that poses challenges to the world. India has a fascist minded, war mongering leader, who imposes a brutal occupation in IOK and evades UN resolutions on Plebiscite. They have deliberately not addressed the Kashmir issue for more than 7 decades and now they are talking about nuclear threat. If all the security council members vote unanimously, the Kashmir issue can be resolved very quickly. The world powers have no conscience they are presiding over the murder of Kashmiris since the beginning. The disarmament or de-neuclearization, regional peace depends upon the core issue, that one is disputed land with un-recognized international border (LoC a temporary line in between) pertain to Kashmir. This is well known to world, UN, US. I do not understand as to why & how long Politicians keep on raking both Kashmirs as disputed & and issue that is bone of contention since 1947. Both sides are very well aware that India can not take Pakistan side of Kashmir & Pakistan can also never take Indian side of Kashmir. Why don't they accept what they have & move on. How long general public be fooled? It is about time to accept the harsh reality & pay attention to other domestic problems. This so called issue has become sickening. First time good approach by US-military for solving Kashmir and prevent both countries towards the nuclear war. If someone is in destructive mode, no one can help. There will be no nuclear war, but still it'll collapse by itself. USSR had huge nukes but still collapsed. @MMM, What a joke! India containing China??? Why Senator Mitt Romney lock his mouth about root cause of main problem, concealing the fact of Kashmir disputes. Why my pakistan freinds not reading full UNSC resolution on Kashmir. If they are asking that kashmir issue must be solve asper UNSC then first withdraw from AJK/GB, which first condition of plebiscite. US and world need to resolve Kashmir issue asap. @Indian , I guess it could be possible if someone else first allows to enter UN Peace Mission Forces. Why do people ignore the real issue: K A S H M I R which Indian occupies against the will of the people? Partition of 1947 is final and the Muslim state of Kashmir belongs with the «Indian Muslim country» Pakistan. My friend perhaps you should read article 80 of the UNSC which was passed after the article 47 that you are mentioning. Article 80 categorically states that both India and Pakistan will reduce their militaries in Kashmir to a minimum. It further states that the plebiscite will be conducted by the local Kashmiri authorities themselves under UN representatives. So Pakistan is willing to reduce it's military as long as India does the same according to article 80 so that a plebiscite can take place. One sentence. Pakistan please stay away from any kind of assistance from the USA. It is time that world community must resolve the issue of Kashmir ,once for all. India and Pakistan are both nuclear powers. Still they are wasting money on the purchase of Arsenal's and building their Military. This money can be spent on reducing poverty, eliminating disease , hunger, education, improving Civic facilities. Why and what is the reason that our priorities are not in agreement with the priorities of the modern world. The whole world respects pakistan’s Nuclear capability. Good smart comments from Tamilians I like you guys, but Tamils in Malaysia must give up crime, small minority of Tamil gangsters in Malaysia now are giving bad names to all Tamilians who are beautiful people. It's getting out of hand, Tamil in India are very secular but in Malaysia they seem to be on the right wing mindset sadly. Love from Sindh, Pakistan Brother. @MMM, India maybe their buddy, but Pakistan is more important strategically not only to the Americans to the Americans, but to the entire world than India's friendship, which only exists for trade and India buying American warfare, which India has proven they prefer Russian made. @Indian , we are ready to hold the plebiscite in AJK and GB. We know they will vote for Pakistan.Are you ready to hold similar plebiscite in IOK? Flashpoint is KASMIR. The world should think about a better solution. Kashmir dispute must be resolved peacefully and urgently to save the world from disaster. @Indian , Friend. Yed. Ready for plebscite. The Kashmiris on both side should decide their fate under zero pressure of local Administration. This is what the stance of your neighbour PAKISTAN. USA along with Russia, China, Saudi Arabia and other countries have now (after a long time) realised that Kashmir is a nuclear flash point and must be resolved quickly to avoid nuclear war between India and Pakistan. This is done through Indian army's atrocities and killing innocent people in Kashmir - simply Modi followed Israeli policy that they adopted in Palestine. I salute Kashmiri people for their bravery and determination for freedom that helped to expose Modi's evil attentions in the world and, as a result, those days are not far away when occupied Kashmir will be freed from India. (ACP - Gharib Awam ki Awaz). Selling arms to the highest bidder, destabilising and invading countries worldwide and then preaching peace. Hypocrisy at its worst. Shameless ! The only thing alarming is the interference and hypocrisy of USA. @Ramesh Gupta, the harsh reality is that India has lost Kashmiris due to its oppressive policies against them. Over 70,000 Kashmiris have so far been killed by Indian army and are evidently subjected to terror tactics by the Indian army on a daily basis. It is time for India to see the reality on the ground and allow the people of Kashmir to decide their own future through a plebiscite as per the UN resolution. @Indian , Pakistan will not withdraw because they can see how insincere India is about dealing fairly with the Kashmiri people. Go and study the history from 1947. Remember, a people cannot be sundued by force. But what does India know about peace. Mr Modi, thanks for hyphenating India with Pakistan again and a special thanks for Internationalizing the Kashmir issue. You have done what foreign office of Zardari and Sharif could not do in the last 10 years. @Indian , AJK/GB are living happy peaceful life and are not facing any problem, they are our citizens and trust us, whereas Indian Army kills JAK Kashmiris, which clearly indicates they don't want to live with Indians. For your Information: JAK people's lives are in great danger and not GB/AJK peoples. Very true! No other world leader has evet brought their country to the brink of disaster ,like Modi, to win an election! Time to resolve the core issue of Kashmir, the regional peace depend on this issue . And you think that will ever happen ? Has the World been able to push China for an independent Taiwan ? Do you think China will ever allow Taiwan to be separated from China ? Now in the above example - replace China with India and Taiwan with Kashmir. I rest my case. @Zak, There is no Asiatic Ocean, it is called Indian Ocean and Indian Sub continent.